Year-round, locally grown/raised foods and artisan products from the producers you know and trust. Old Town is Wichita's premier etertainment, destination area, filled with wonderful shops, theaters, galleries, museums and restaurants, all within walking distance of the Market. Surrounded by brick-lined streets and native limestone accented buildings dating back to the 1800s, Old Town Farmers’ Market resides in a setting, unique to Wichita. Brainchild of architect & developer David Burk, Old Town's, Farm and Art Plaza was planned in 1987 with the idea that the city needed a special place that supports area food producers and artisans. Some thirty years later, Wichita’s locavore appetite has never been stronger and a growing number of area producers continue to answer the call of the expanding Market. 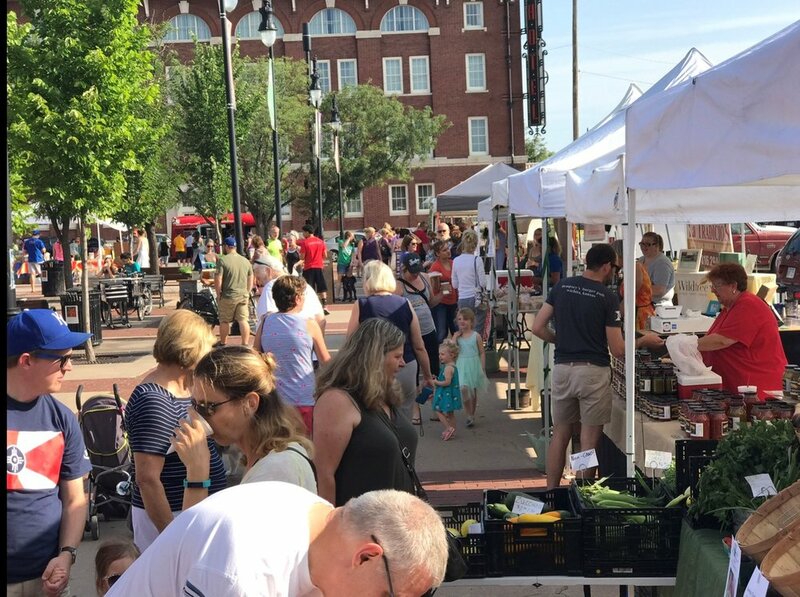 Offering convenient parking, fresh, Kansas produced, real food and handcrafted products, Old Town Farmers’ Market is a weekly destination for area residents and has become a must-see for visitors to the city. Saturday mornings, from mid-April through October. WAVE is a social oasis and multimedia venue in Downtown Wichita. The perfect hybrid of a major event space and your favorite neighborhood bar. WAVE welcomes eclectic crowds of 500-3,300 people for concerts, yard games, and everyday relaxation in their indoor-outdoor space. Live music, rotating food trucks, comfortable lounge areas, OTFM’s winter Market and a fine selection of craft beers; all in an unforgettable atmosphere. November through March - Open Sundays, 10:00 - 2:00, located in downtown Wichita. 650 E 2nd St. N. directly west of Old Town Square.